Explore The Jeanne and Edward H. Arnold Health Professions Pavilion completed in the summer of 2018. Students in Lebanon Valley College’s health professions programs have a new, innovative learning space. 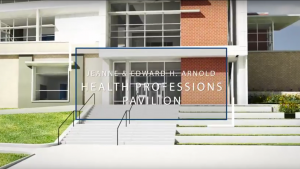 The Jeanne and Edward H. Arnold Health Professions Pavilion is open for students in our doctor of physical therapy, master of athletic training, and bachelor of exercise science programs. 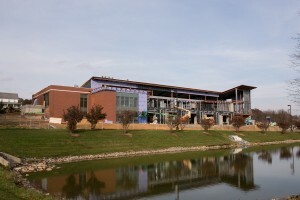 The multi-million-dollar facility, the most ambitious academic project in the College's history, provides flexible classroom space, observation rooms acoustically treated for sound, human performance and gross anatomy labs, flexible faculty office space to increase collaboration with students, and new technologies that enhance teaching. Graduates of our health professions programs enjoy increased career opportunities as the sector is projected to add five million new U.S. jobs by 2022. The Arnold Health Professions Pavilion is named for Edward H. Arnold H'87 and Jeanne Donlevy Arnold H'08 who made an unprecedented $10 million challenge gift for the building. The Jeanne and Edward H. Arnold Health Professions Pavilion opened officially today as the new home of the College’s Athletic Training, Exercise Science, and Physical Therapy programs. 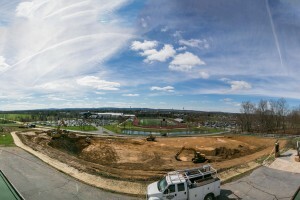 Lebanon Valley College celebrated the official groundbreaking of the Jeanne and Edward H. Arnold Health Professions Pavilion, the new home for health professions majors at The Valley, on Friday, May 5. A former nurse and vice president at Good Samaritan Hospital, Jeanne is a member of the College's Board of Trustees. She is active on numerous charitable boards locally and nationally. She received an honorary doctorate from LVC in 2008. 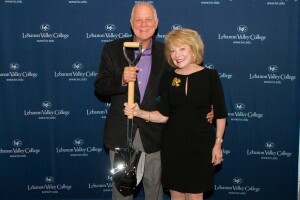 A former owner and chief executive officer of Arnold Logistics and Arnold Industries, is a longtime member of the LVC Board of Trustees and now holds emeritus status. He is active with numerous charities and organizations in Lebanon County and the surrounding region. He received an honorary doctorate from LVC in 1987. 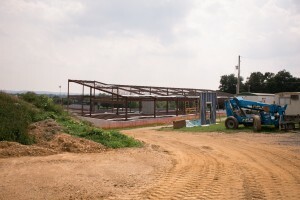 Construction on the Jeanne and Edward H. Arnold Health Professions Pavilion began in May 2017. Exterior advancements to the windows and landscape were being completed. 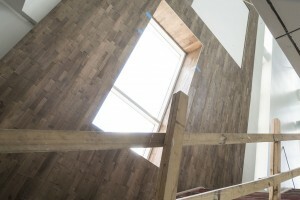 Arnold Health Professions Pavilion has wood accents that create depth, texture, and warmth. 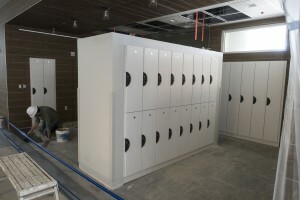 Personal lockers are constructed for students, faculty, and staff. Brick surrounds the exterior of the back of the building. 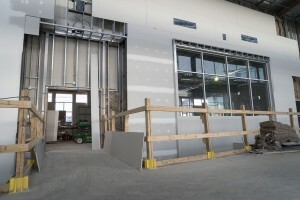 Windows and drywall shape the indoors of the Health Professions building. 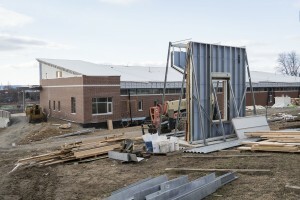 Construction workers add doors to the Health Pavillion. 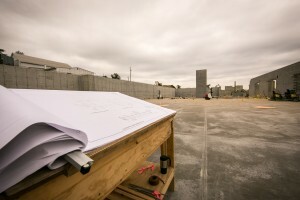 The construction team refers to the blueprint to prepare for the next few months of work to the building. 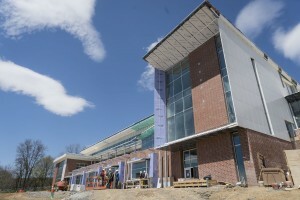 Bricks and windows go up on the exterior of the Health Professions Building. 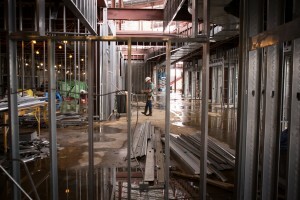 Construction workers build up the walls inside of the Health Professions Pavilion. Members of the LVC community take a tour of the Health Professions building to view the progress. 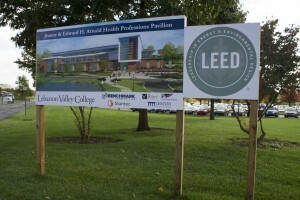 The Health Professions Pavilion will become the second LEED certified building on campus. 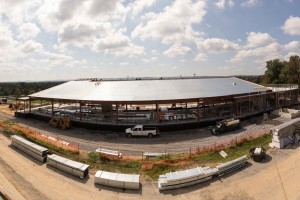 In August 2017, the roof work of the Pavilion began. 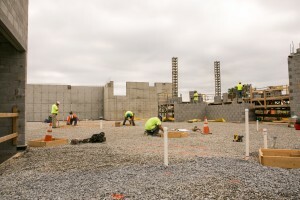 Construction workers begin framing the walls inside of the Health Professions Pavilion. 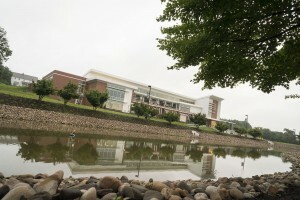 A view of the framework of Health Professions Pavilion from across the pond. 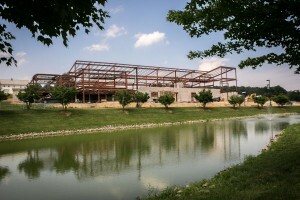 With an open landscape, the framework for the Jeanne and Edward H. Arnold Health Professions Pavilion began in July 2017. Work continues on the new health professions building, opening May 2018. An outside view of the first floor of the pavilion. 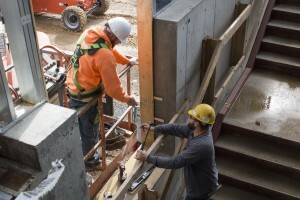 The contracting team working on the first floor of the new Arnold Health Professions Pavilion that will house LVC's doctoral, master's, and health professions programs. 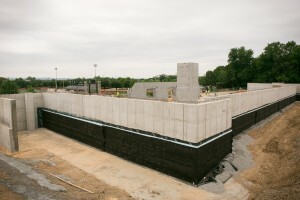 Construction began on the new Jeanne and Edward H. Health Professions Pavilion in May 2017.